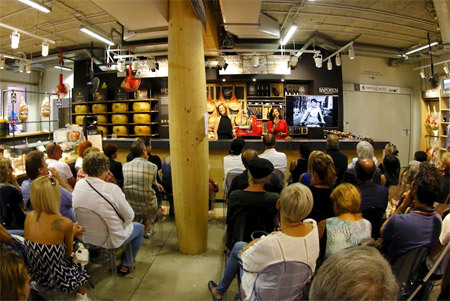 31/8/ 2015 – nello Spazio Sapòrem all'interno del padiglione Eataly ad Expo Milano lo spazio dei 4 Consorzi simboli del Made in Italy, Francine Segan interpreta l'aperitivo all'italiana, trasportandolo idealmente a New York. Francine è apparsa in numerosi programmi televisivi nazionali, tra cui il Today Show ed Early Show e tanti per PBS, il Food Network e l'History, Sundance e Discovery. 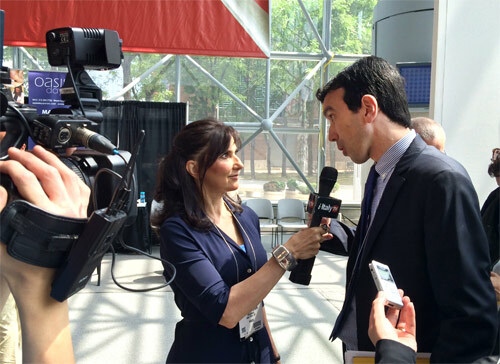 Lei è la conduttrice della famosa serie settimanale di NYC i-italy TV "Americans in Love with Italy", dove intervista le celebrità sulla loro passione per l'Italia. F. Murray Abraham, Betty Buckley, John Patrick Shanley, Eric Asimov e Michael Tucker sono alcuni degli ospiti che sono apparsi nel suo show. "Ms. Segan, like some historically minded chefs and cookbook authors, is willing to sacrifice some authenticity for popular appeal. In a recipe for Cornish game hens with sage she instructs readers to use an oven rather than boil the meat in a cheesecloth. She also substitutes marjoram for the herb hyssop, popular in the Tudor era but hard to find in the U.S. these days. Sometimes it takes more than switching a few spices to save a dish from the culinary compost heap. In her recipe for "courage tart," a sweet-potato-and-apple pie widely used as an Elizabethan aphrodisiac, Ms. Segan excluded sparrow brain. And she decided against a chapter on how to cook "head of beast." 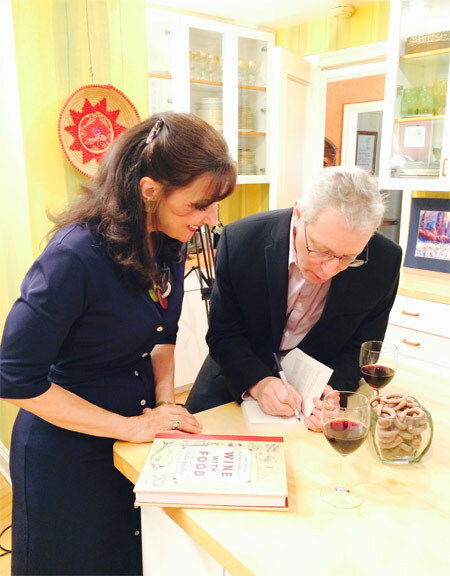 "Let the Games-and the eating of great Greek food- begin with Francine Segan's new book The Philosopher's Kitchen: Recipes from Ancient Greece an Rome for the Modern Cook...recreating the cuisine of the ancient Greeks and Romans helps us connect in some small but wonderful way to their time." "It was hard to miss the peacock in the ballroom of the Pierre Hotel…but the main attraction on Monday night…was the food, all updated versions of Elizabethan recipes by Francine Segan, author of Shakespeare's Kitchen: Renaissance Recipes for the Contemporary Cook (Random House, 2003) and the culinary advisor for the evening." "Author Francine Segan turns a neat trick. She takes cursory recipes from ancient Greece and Rome and makes them vibrant and cookable. Segan's recipes are excellent: Simple, sophisticated and delicious. Each of the four I tried was a keeper."